0.979 square foot per piece, each piece sold individually. Piece weight equals 3.99 lbs. Buy online Jeff Lewis Hudson Basalt 11-7/8 in. x 11-7/8 in. 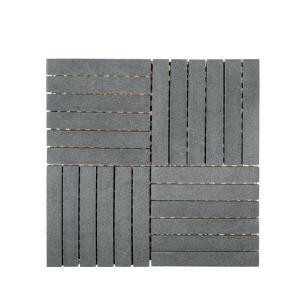 x 8 mm Basalt Mosaic Tile 98481, leave review and share Your friends.